Dyson vacuum cleaner brush roll drive belt. 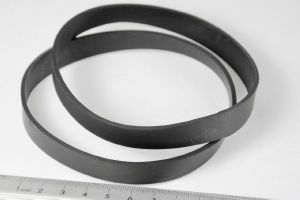 Dyson vacuum cleaner drive belts. Part number: 5031683194132 - Genuine Dyson part - Supplied in packs of two. Pack of two drive belts for non-clutch models of Dyson vacuum cleaners. Important note: This type of belt is only suitable for the clutch-less versions of these models.